Mass personalization is the backbone of digital business. To keep pace with increasingly competitive markets, industry leaders must find ways to deliver personalization experiences to customers in high volume. By tailoring our products and services to meet consumer needs, we bolster our relationships with customers and build stable brand loyalty. The key to commercial success lies in this simple digital strategy: mass produce personalized experience. And like most fundamental business drivers, there is both an art and a science to digital customization. When we combine the two disciplines, we are given the ability to use a systematic method for finding exactly what appeals to consumers. Our plan of action is twofold: we apply a scientific process to gathering and evaluating consumer data and then use an artistic lens to understand the emotional connection that customers have to our products and services. In the current digital age, we are able to collect and analyze data en masse through existing technologies. Everyone uses the Internet to express their interests and define their preferences, and that valuable information is often stored and made readily available to producers. But we don’t have to rely solely on preexisting data about what our customers like and dislike. Instead, we can adapt to their preferences in real-time. When we like a page or join a group on Facebook, new advertisements appear on our account that are tailored to what we endorsed. If we like a song on a particular Pandora station, our account is updated to include more music that sounds like our preferred selection. Once we have the individualized data that we need, we can channel our artistic side to gain insights into what our customers want. By embracing an artist’s interpretation of our analyses, we are able to tap into the emotions of our customers. We leverage this creativity to customize an emotional experience for each consumer. At every digital touch point, we collect new insights about our customers based on their individualized behavior. Our companies become empowered to create visuals that communicate the emotional elements of customer information. 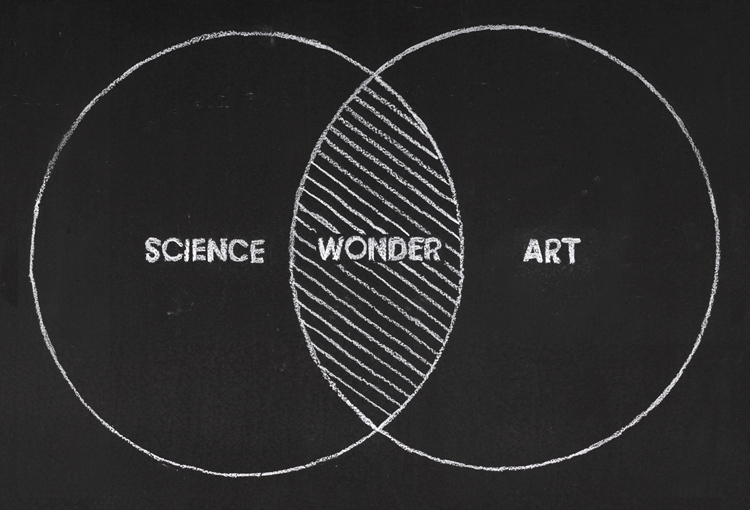 Together, art and science represent the yin and yang needed to mass-produce a customized experience. If we apply equal weight to the emotional and rational sides that live within us, this digital business model can be achieved with great success. I’ve shared my own point of view and now I’m eager to hear yours. I invite you to engage in an open dialogue with me about the art and science of digital customization.